On the Ground & in the Air. 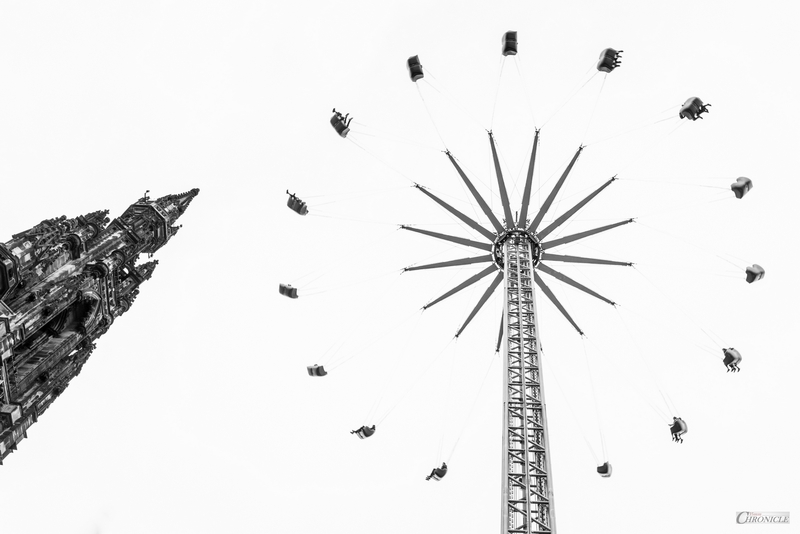 If you read my previous post, you’ll know that I spent a day in Edinburgh, enjoying the pre-Christmas festivities there, along Princes Street, St. Andrew’s Square and, along the Royal Mile. 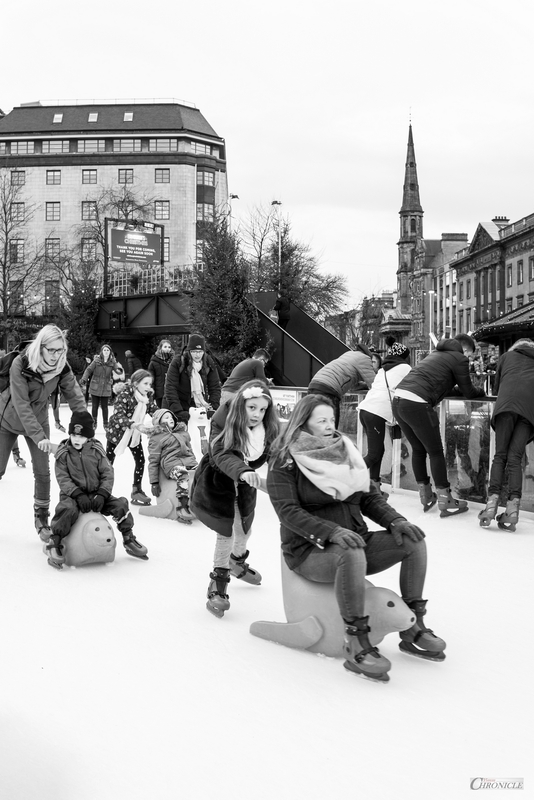 It’s a change for me to photograph people on the streets, though I do enjoy it when I can pull a frame or two off, but largely, I tend to stick to static scenes and structures. 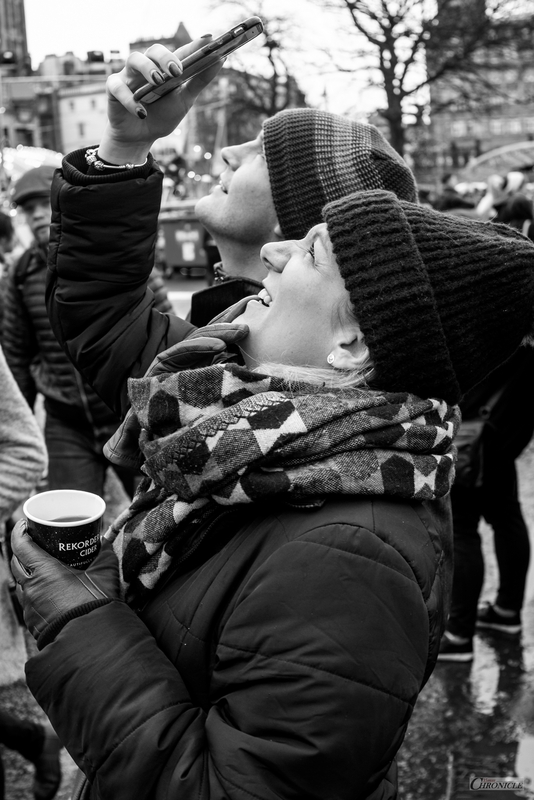 However, with so much going on, I was more like the proverbial child in a sweet-shop and I was very happy to snag these few captures of people doing what we do around this time of year. 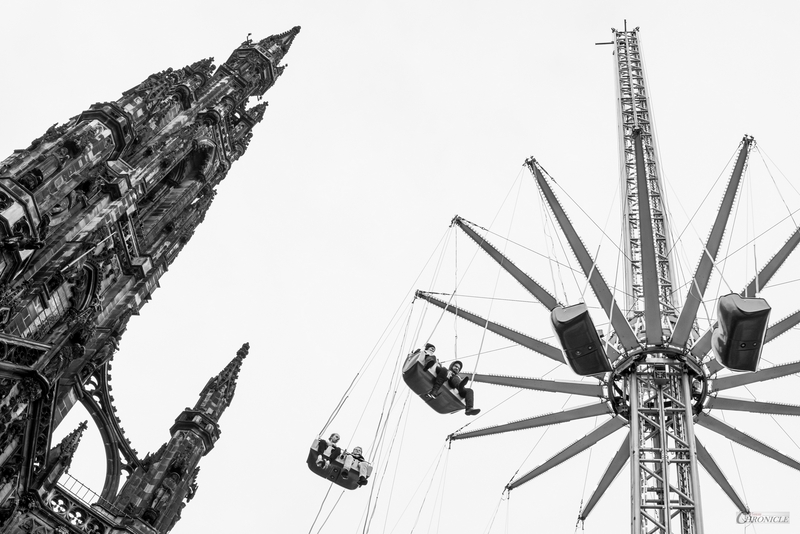 A small point on photometry: in frames one and four I spot-metered on the stone of the Scott Monument in order that it should not remain in silhouette and, rather pleasingly to me, the cables attaching the cars to the ride all but exposed out. This was intentional and not a mistake and gave me the option of titling the fourth frame “Look – No Strings!” – but clearly, I was able to resist! With the blanket of pure light grey above, I was able to seriously enjoy the contrast and details and, I sincerely hope that you will also. I hope that, however you’ve been celebrating, you’ve had at least as much fun, will also have a fabulous weekend and, I shall very much look forward to being back with you on Sunday. Interesting angle on the first and the last photo, Rob! I really like it.